More than happy with my extensions new flat roof. Got a quote quickly and work began soon after. Professional and friendly, John kept me well informed of what was going on with photos. Would definitely recommend! Excellent work carried out to a high standard by a great team. John was friendly and professional and always kept us updated with progress. His team were also fantastic and made every effort to keep a clean, safe work environment and to keep any inconvenience to a minimum for us. The main roof was completely redone, chimney cowls and extension roof lead were repaired/replaced and to date all of it has remained in perfect condition despite several bad storms in recent months. Would definitely recommend John and his team every time. 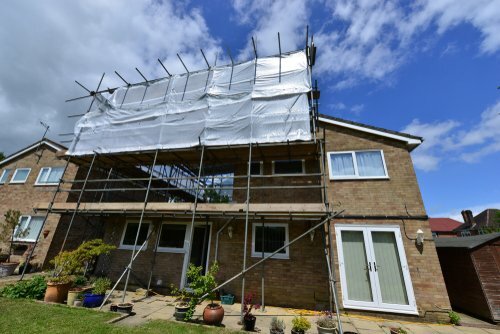 Carried out significant overhaul of roof, including: fixing leaking valley, re-roofing bay windows, lifting and re-bedding ridge/hip tiles, new chimney flashings, and fixing/replacing broken/damaged/slipped slates. Response to initial enquiry was prompt, end result was very good, communication with John throughout was also excellent. Issues that arose during the work (as is always the case) were addressed promptly and explained clearly. We had our flat roof replaced and cowls fitted to the chimney and are very happy with the work done and were always kept informed of how the job was progressing. All rubbish was removed. Would recommend this company. They have done a thorough overhaul of our roof. Unlike lots of builders they have been very helpful and easy to deal with - stick to what they say they are going to do, or let us know of any changes due to weather etc.They also appear to have done a very good job and we are very happy with the outcome. Contact us to get a FREE no obligation quote or some advice on your roof from of our friendly and helpful team. We are a family operated business and take pride in offering a professional and customer focused service to our clients. 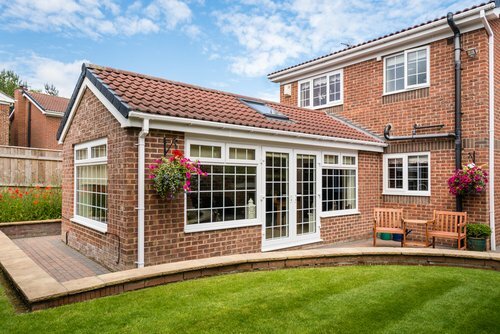 We are a member of The Federation of Master Builders and as such carry out all of our work to the highest professional standards.